Dovetail Recruitment are pleased to be working with a creative and growing design and manufacturing company in the Christchurch area who design products for well known retailers across the UK. They ensure to remain on trend and pride themselves on the high-quality products they deliver to their customers. We are looking for an Administrator to join them team; this a very varied role, to include accounts and purchasing duties. You will be liaising with suppliers and manufacturers internationally, negotiating costs and tracking shipments in addition to purchase orders and invoice tracking. This would suit candidates currently working as an Administrator – experience as an Accounts or Purchasing Administrator would be advantageous. If you are interested in this Administrator position please click on apply now. Alternatively, to find out more or to see other opportunities we have available please visit our website. Samantha has notched up four years experience in Recruitment, after graduating with a degree in Psychology. Samantha specialises in the Engineering, Technical and Construction roles. By submitting your CV to us at Dovetail you are giving us permission to get in touch with you in regards to the job that you have applied for and also with information on other jobs that you might be interested in. If this role isn't for you, but you know someone that might be interested – take advantage of our Refer a Friend scheme and earn yourself up to £250. 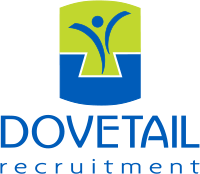 At Dovetail Recruitment we have been recruiting for HR and office staff for Dorset and Hampshire based companies for over 20 years. Our team of specialist HR & General Recruitment consultants offer a very personal service. We know our clients and the local Dorset and Hampshire market very well which means that we can help you find your perfect job. Marcia looks after our HR and General Office roles and is dedicated to matching her candidates with their perfect role. Typical HR & office roles include: HR Managers, HR Assistants, PAs, Secretarial roles and Administration. You can view our current HR and general office roles here. If you don't see the perfect role for you, please get in touch. We take a proactive approach for all of our candidates, using our deep knowledge of the local market we'll help you find the job you are looking for. Visit the Dovetail Blog for articles to help you in your job search.